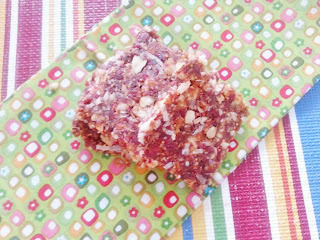 The Cherry Mama: Easy Lara bars, no bake, done in minutes. Easy Lara bars, no bake, done in minutes. 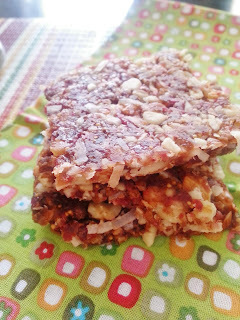 I loved my Homemade Kind Bars, but again I wanted to skip the oven and cut out rice syrup, and honey if I could. I also have a wicked rad new food processor (yes, it's worthy of me saying that). It was time to take these bars to a whole new level. Without the food processor you can't really get your dates and figs into a paste to use as your sticking agent. 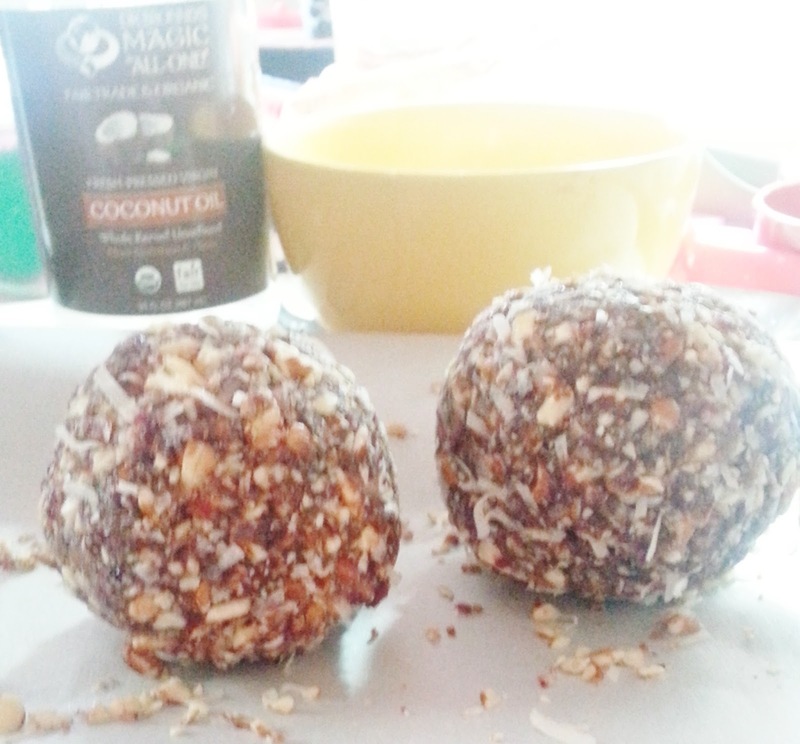 I first started off using my favorites, dried dates, and cranberries. After that I was just grabbing everything in sight! The best part you can get creative. 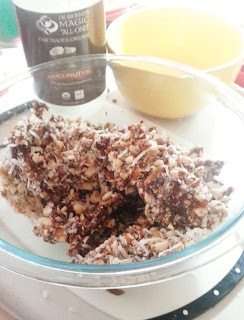 In my Kind bars I used spices, and sea salt so I decided to adapt those into my bars also. You can switch many of these nut ingredients too. *Process these until they become a paste. Add this to your nut bowl and mix by hand, add coconut. Once mixed in the bowl by hand it comes together into a big ball.. I do recommend you have this next step prepared or you will be in a big mess. Use a cookie sheet with parchment paper, I lightly greased it with my coconut oil. Take your mixture and form one or two big balls. Depending on the density you can hand press them into bars or cover with more parchment paper and use a rolling pin. I started off by hand, but to even out the dents I gave it a few quick passes with the rolling pin. You are done my friend! Just cut into squares, store in refrigerator. It's very similar to the Homemade Kind Bars, but even more streamlined.